Georgia has long enjoyed its status as the homeland of wine. The world’s oldest places of viticulture and winemaking have been discovered here. The history of wine began during the Neolithic period, which is supported by archaeological evidence. 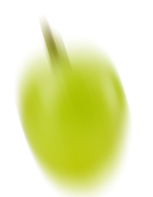 A few decades ago, archeologists found several grape pips of the VI millenium B.C. among the ruins of the settlement of Dangreuli Gora, in the valley close to Marneuli, a town in Kvemo (lower) Kartli, south of Tbilisi, of which the morphological and ampelographical characteristics were identical to those of Vitis Vinifera Sativa. More recently, renewed excavations of Gadachrili Gora settlement uncovered other grape pips of the Neolithic period. In addition to finding wine remains in the ruins of the settlement, archaeologists studied several fragments of clay vessels found there. A chemical analysis of the clay vessels revealed deposits of calcium salts of tartaric (wine) acid. Such deposits of tartaric acid on the internal surface of this clay pottery could only be the result of the presence of wine or grape juice. This discovery confirmed that the relationship between human and the vine began from VI millennium B.C. 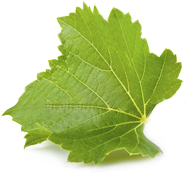 and included not only the first cultural vine, but also the first remains of found within the territory of Georgia.